City Council will be hosting an informal roundtable discussion session. All residents are invited to attend and voice their opinions, concerns and questions to City Council members. Council will be answering as many questions as able and following up with residents as necessary. Light refreshments will be served. 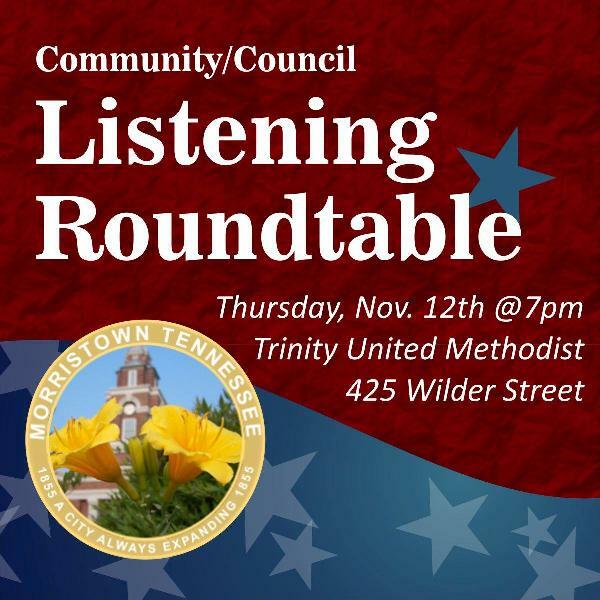 Event is being held on Thursday, November 12th at 7pm at Trinity United Methodist Church on Wilder Street.